You may add multiple amounts to cart for your exact donation. To play, contact Kimberly Howard via email at jiamcinfo@gmail.com or at 904-741-2743. $175 annually ($185 if paid by credit card). Please contact Kimberly Howard to pay dues by credit card. Her phone number is 904-741-2743. With each lunch sponsorship, you will get a spotlight presentation of your company at our monthly meetings. You will also be featured in the spotlight section of our website. Become a lunch sponsor of JIAMC meetings. E-mail us at JIAMCinfo@gmail.com for more information. Please feel free to visit a meeting just to see what we are all about. If you wish to join, you may speak with any of the members or officers. 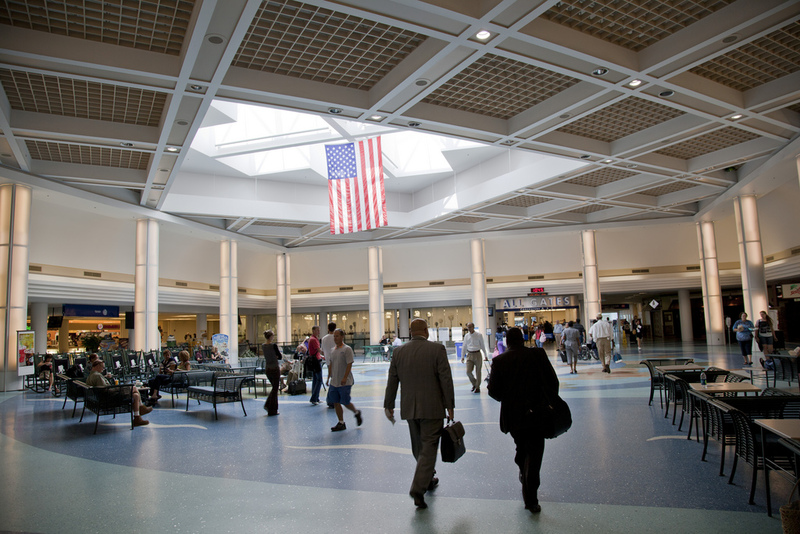 The Jacksonville International Airport Management Council (JIAMC) is a business networking organization that has been active for some 41 years at JIA. It was started for the purpose of bringing together the then Aviation Division of the Jacksonville Port Authority (now the Jacksonville Aviation Authority) and the many tenants in and around JIA. In the early days, the JIAMC played more of a connecting role between the Airport Authority and the tenants. It was a vehicle for the tenants to get problems addressed by the Airport Authority. Now the role is more networking between all the members in order to exchange information on business offerings and to discuss and analyze trends and the impact of events on the airport and its surrounding tenants. The council meets once a month for the purpose of exchanging information and addressing current issues that affect the area as a whole. We also make a concerted effort to keep all the members apprised of current events and activities. In addition to monthly lunch meetings, the group sponsors several events throughout the year, including a Golf Tournament, Annual Group Travel Outing and a Holiday Tree Fund-raiser Event in the JIA Terminal. Please note, the JIAMC is not officially affiliated with JAA, but the two organizations work together on many issues. Under Florida's very broad public records law, e-mail communication to and from the Jacksonville Aviation Authority is subject to public disclosure.